Feedback from participants at Nokia. Everything was excellent – right from ambiance, venue, faculty knowledge, his style of communication, course content , examples. After attending this course, I understand why you are pioneers in Six Sigma training and for sure, the return on investment (fee paid) is more than 100%. – Mahesh Kumar, Senior Manager, Nokia. Anyone is the industry should learn the Lean principles & six sigma. Benchmark is the best place to do it. Excellent course in terms of Material, Instructor knowledge and way of training. – G. Sethuraman, Senior Process Developer, Nokia. Course content is very good. Very energetic and interactive sessions. In depth knowledge of Trainer on various sectors. Examples provided were very informative and relative to the topic. – Bala Phanindra Vullem, Sr. Ops Scheduling Specialist, NAVTEQ. Excellent trainer with exceptional training skills and immense knowledge and expertise in lean and six sigma methodologies. 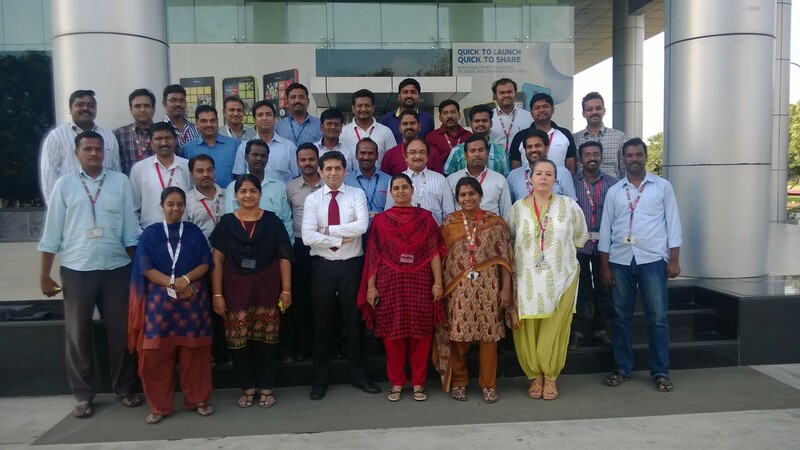 A very interactive session with immense knowledge gained on lean and six sigma techniques, from an adept trainer. – Rahul Paul, Operations Analyst, Nokia. Training material and way of conducting the course was excellent. – Vasudevan S, Quality Engineer, Nokia. I appreciate the ease with which tools were explained with examples and also keeping the session live for such a course. Excellent Trainer with a lot of practical knowledge and explaining in such a brilliant way. – V B Venkatachalam, Production Manager, Nokia. The course was carried out with simple examples in day to day life, which was easy to understand. Benchmark lean six sigma course was most practical rather bookish. – Umashankar E, Variant Manager, Nokia. I feel Bench mark six sigma is the best training institute to learn six sigma concepts. – Swathi Chandra Prakash, Variant Coordinator, Nokia. Excellent knowledge of coach. Study material is easy to follow. Classes were very interesting. – Meenatchi Vijayakumar, Integrated Systems Manager, Nokia.